Over the last twenty years it has become recognized that fathers play a crucial role in child development and subsequent adult status and behaviour. This book presents the state-of-the-art on fathering and its determinants. 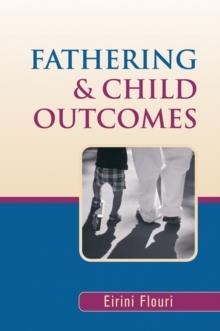 Based on original research into the effects that different styles of fathering can have on children, it explores the long and short terms outcomes of involved fathering on different domains of children's lives, including academic achievement, mental health, socio-economic status, adolescent relationships and delinquency.